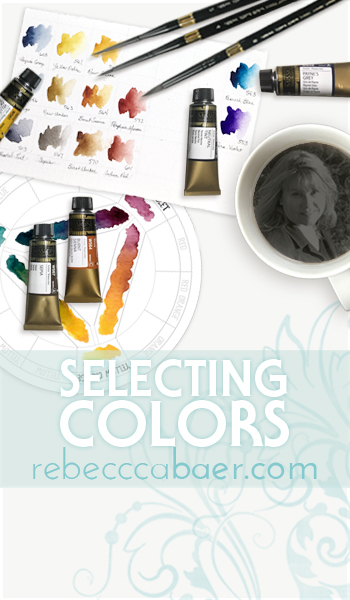 How do you select the right color combinations to create a pleasing composition? Do you have a process that you follow? Have you ever tried to develop a composition and the colors didn't seem right? You've picked several of your favorites; but they just aren't they playing well together. You can sense the discord. But do you have the skills to correct it? Perhaps when painting from reference photos you'd like to modify one or more colors so that the resulting work is better suited to your tastes. Sometimes it is not as simple as substituting your favorite color. It often does not work because it is not in harmony with the existing color scheme. If you are not mindful of what color groups harmonize well you can make some less-than-appealing combinations. We've all been there. It can be frustrating. The question is, how can you consistently develop pleasing color combinations?